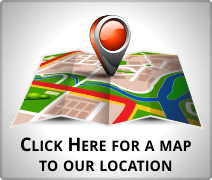 Originally we began as the Nicholasville Chamber of Commerce in the 1940’s. Due to lack of resources and staffing the chamber dwindled away. In 1981, a group of local merchants, businessmen, civic leaders and professionals came together to create an event that would bring excitement to the Nicholasville area. 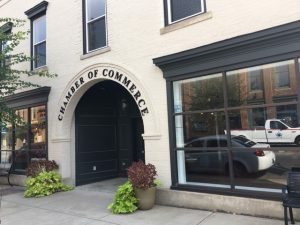 Following the event, a wrap up celebration took place and once realizing the participation and enthusiasm of the local merchants and business leaders, they decided it was time to reorganize the Chamber. It took several weeks to finalize all the plans, write the articles to present to the state, but in the spring of 1982 the Jessamine Chamber of Commerce was created. Although, the location has changed a couple times, our downtown location is a vibrant, active organization with a diverse range of benefits and services, both for its members and the community. The Chamber is committed to ensuring businesses survive and thrive and offers services like networking opportunities, tourism promotion and services, education, and marketing opportunities. The Chamber partners with many other organizations in the community to help ensure the area continues to grow in the best manner possible for residents and visitors. There are many membership opportunities, like business services, educational opportunities, free listings on the website and in the membership directory, display space in the Chamber’s Visitors Center, opportunities to network, and much more. Membership in the Chamber is more than just a business opportunity. It offers personal and community-oriented rewards as well. You are welcome to become a part of this dynamic organization. Please complete our membership application or you can reach us by phone, (859)887-4351.